North and south exposures in this 3000 square foot loft in Tribeca allowed us to line the south facing wall with two guest bedrooms and a 900 sf master suite. The trapezoid shaped plan creates an exaggerated perspective as one looks through the main living space space to the kitchen. 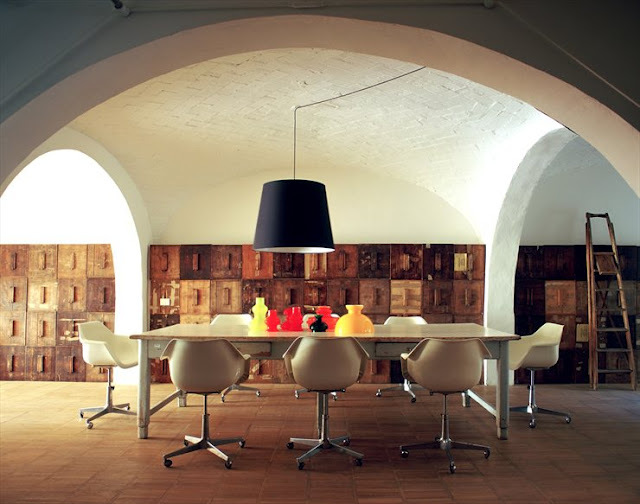 This gorgeous loft located in Florence, Italy, used to be a carpenter’s workshop. 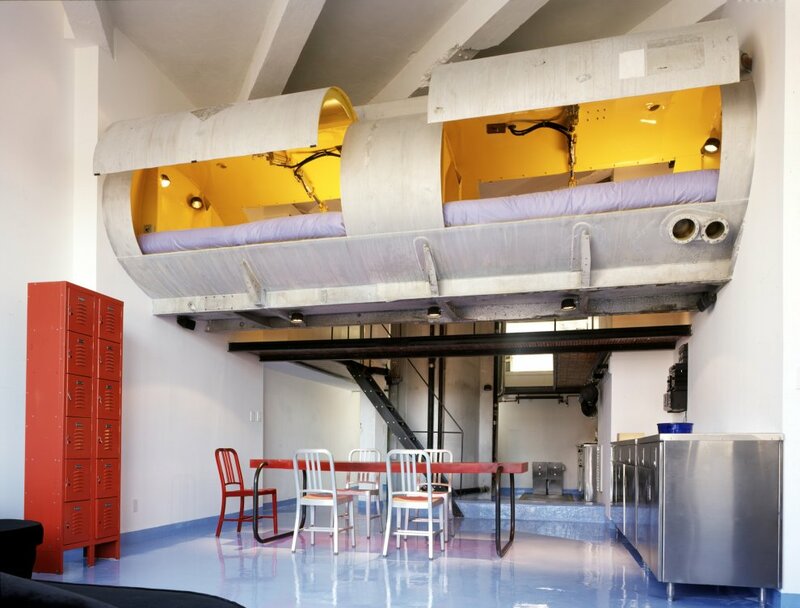 Using more than 300 old wooden ballot boxes, architect Alessandro Capellaro remodeled this “box house” with a mix of vintage furniture, bold colors and unique objects. 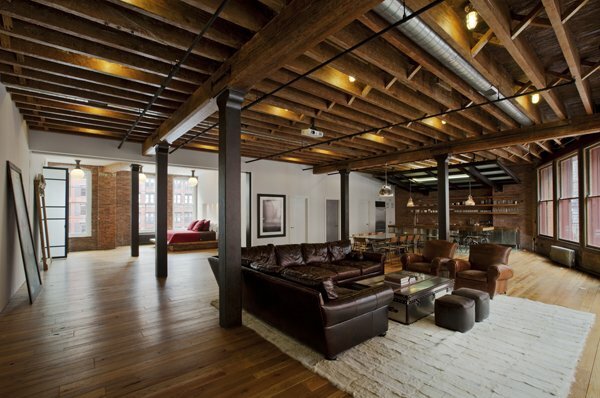 This loft is in an old warehouse building with double (or make that triple?) -height ceiling. I just love how the crude industrial environment, steel beams and concrete interact with the barouque decoration and the lively red of the furniture. Today’s loft is placed in the former Eastern bloc of Europe, in Budapest, Hungary. On the capital’s outskirts, in a former industrial area an architect have found an old arms factory that he converted to a grand home. What do you do, when you have a large, empty apartment and you want to fill it with something unique? You get something that’s been used for filling for a long time – like a tank from an oil truck. Unusual? At least. Cool? Sure it is! This is Oscar Niemeyerâ€™s Refurbishment, a masterpiece brought to life by the talented creators Felipe Hess and Renata Pedrosa. 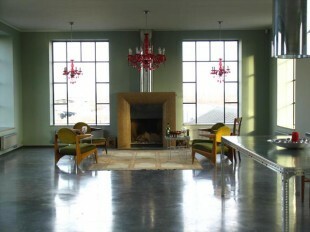 This project entailed the conversion of an original devised three bedroom interior into an open space contemporary loft. 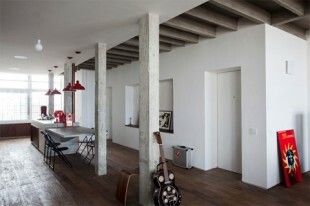 A loft with fluid circulation and grand social spaces with no permanent partitions. Industrial space? check. Wacky art? check. 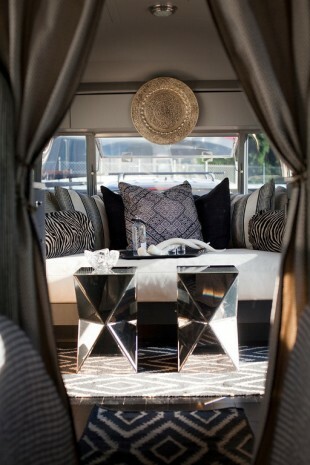 Recycled but nevertheless beautiful furniture? Check! 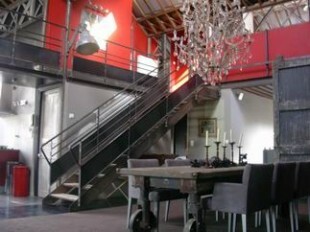 The dream loft is white, simple and clean with art a little bit everywhere, thatâ€™s a one of a kind home! 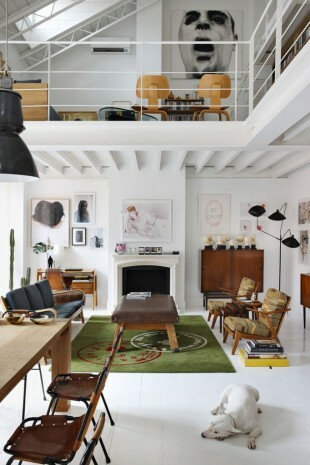 This beautiful Madrid loft is occupied by fashion designer Davidelfin and his boyfriend photographer Gorka Postigo.